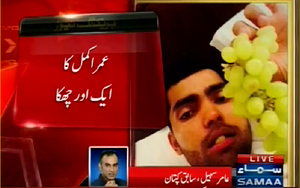 Pakistani cricketer Umar Akmal has been recovered from brothel house which is a very offensive act and due to this he has been dropped from PCB. Police has already issued show cause notice against him. It has been reported that he got caught with some domestic player whose name has not been disclosed. 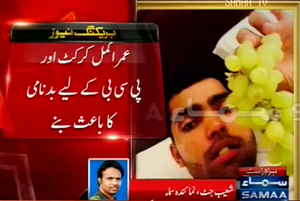 #UmarAkmal has been caught with the hookers and dropped out of the t20 team. ???? Ethics is the main aim of almost every department here. who cares for the actual task? So what if he attended a dance party? I think we have other issues to worry about. Or not, I'm guessing now.